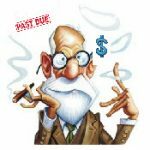 How Would Sigmund Freud Collect a Past Due Invoice? We move from a receivables expert who threatened to tell his father to one who wants to know about your relationship with your mother! Born in 1856 in Austria, Sigmund Freud was the founder of psychoanalysis. Today, we take it for granted that there are some hidden motives in what we do. This was not always the case. Scientists have struggled with ‘why do humans act the way they do’, what is normal and abnormal behavior. Thanks to Freud, modern thought is that there is an unconscious that has a coherent structure. Not only is there ‘A lot of ‘stuff’ going on beneath the conscious level, it is not open to criticism. Early in his career, Freud was a likely to prescribe cocaine (legal at the time) to resolve a patient’s challenges. He considered his own mind and body suitable for experiments and tested cocaine on himself. What seemed like a miracle drug later paled in side effects and addiction. We should be thankful that he was not enamored of the drug for a long period. Last thing any of our clients would need is a recommendation to partake in ‘the devil’s powder’. In time, Freud developed a treatment called ‘talk therapy’ and the image in our minds is the way the process was used in his Vienna office: the patient lying on a couch, the analyst in a chair, out of site, listening and taking notes. Freud listened, and he watched. He disciplined himself into being a master observer. “If their lips are silent,” he said, “they will gossip with their fingertips”. At least well into middle age, Freud was plagued by depression, irritability, dizzy spells and feelings of worthlessness. The latter was a bit surprising for a man who was so full of himself. The man who popularized the word ‘ego’, had a rather large one himself. There was a time when Freud put himself into psychoanalysis – with himself. He spent part of each day on the couch, thinking about his own childhood, dreams and memories. My theory is that his childhood confusion and feelings not ‘being one of the gang’ would have more to do with his name than dreams or what was going on in the unconscious. His full name was Sigismund Schloomo Freud. I tell ya’, I’d have some serious questions and doubts about my mother and father if they saddled me with the name of ‘Schloomo’. Still, at the very least, a large part of his ego was well deserved. Freud is still thought of as one of the great, if not the greatest pioneer of psychoanalysis. He said and would have strongly believed, “We have the means to cure what you are suffering from.” He not only believed the individual could be treated, but the ego to further believe that he, and perhaps only he, had the ability to treat them. So then, how would he go about collecting a past-due invoice? While he may have harbored some doubts about the source of his melancholy, Freud would have little if any doubt of his ability cure a past due debt. A positive attitude, on its own is of little value, but coupled with his talent, it becomes a formidable advantage. Nobody wants a doctor, psychoanalyst, financial advisor who is not sure of themselves. Freuds would bring the attitude to the negotiation table (or couch if you prefer) not that the debtor is going to pay, he will already have decided that, but rather working out the final details of when and where. It would be Freud’s belief that the reason given by the client or the customer is more often nonsense, even if at times they believe it themselves. The reason the account is still out-standing is not because it hasn’t been approved, the cheque signed, invoice not received or a dispute concerning the service. The real reason, the one that may prevent the customer from ever being A1, paying in full, on time, in the future is deeper. Some may feel more comfortable (again, even if they do not know it) with a more chaotic environment. Some people win by losing. Freud would believe you may be able to resolve a single invoice by dealing with the open and conscious reason given by the customer, but if you continue to sell to them on credit, you can count on them being delinquent again until you are able to go deep and resolve. Many of us believe we are good listeners, but we are not. Why? It’s hard work. Maybe that’s why we pay so much for someone to sit beside us, listen and take notes. Nobody listens hard for free. Freud would listen to what is said, what isn’t and how. That is not only the words and inflection, but body language too. At the end of a session with a debtor, Freud would review and summarize his notes. He would determine next actions and start his preparation for the call/visit. One must study and be a good investigator and communicator, but it all starts with a positive attitude. We will collect! But, we are not naïve. Even though we may not collect this invoice, we need to get back up off the floor, believe in our self and the fact that we will collect the next one. We may not have the luxury of always being in the same room as our clients when we are trying to resolve a debt, but if the balance is high enough and the customer of value, forget the telephone. Get in the car or arrange a flight and go visit with your client. Listen hard, take notes during and afterwards. Plan your next steps. Why wait till mid 2019? Order now and save money!